Plant diseases worldwide are responsible for billions of dollars worth of crop losses every year. With less agrochemicals being used and less new fungicides coming on the market due to environmental concerns, more effort is now being put into the use of genetic potential of plants for pathogen resistance and the development of induced or acquired resistance as an environmentally safe means of disease control. This comprehensive book examines in depth the development and exploitation of induced resistance. Chapters review current knowledge of the agents that can elicit induced resistance, genomics, signalling cascades, mechanisms of defence to pests and pathogens and molecular tools. Further chapters consider the topical application of inducers for disease control, microbial induction of pathogen resistance, transgenic approaches, pathogen population biology, trade offs associated with induced resistance and integration of induced resistance in crop protection. 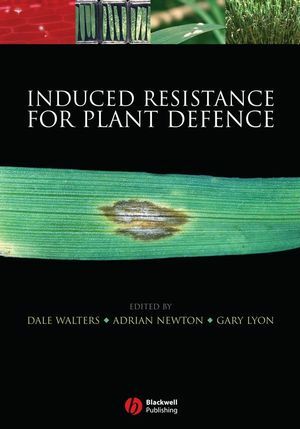 The book concludes with a consideration of socio-economic drivers determining the use of induced resistance, and the future of induced resistance in crop protection. Dale Walters, Crop and Soil Research Group, Scottish Agricultural College, Edinburgh, U.K.
Adrian Newton, Scottish Crops Research Institute, Dundee, U.K.
Gary Lyon, Scottish Crops Research Institute, Dundee, U.K.
Chapter 1: Introduction: definitions and some history. Chapter 2: Agents that can elicit induced resistance. Chapter 3: Genomics in induced resistance. Kemal Kazan and Peer Schenk. Chapter 4: Signalling cascades involved in induced resistance. Corne MJ Pieterse and LC Van Loon. Chapter 5: Types and mechanisms of rapidly-induced plant resistance to herbivorous arthropods. Chapter 6: Mechanisms of defence to pathogens: biochemistry and physiology. Christophe Garcion, Olivier Lamotte and Jean-Pierre Metraux. Chapter 7: Induced resistance in natural ecosystems and pathogen population biology: exploiting interactions. Adrian Newton and Joern Pons. Chapter 8: Microbial induction of resistance to pathogens. Dale Walters and Tim Daniell. Chapter 9: Trade-offs associated with induced resistance. Chapter 10: Topical induction of inducers for disease control. Philippe Reignault and Dale Walters. Chapter 11: Integration of induced resistance in crop production. Tony Reglinski, Elizabeth Dann and Brian Deverall. Chapter 12: Exploitation of induced resistance: a commercial perspective. Andy Leadbeater and Theo Staub. Chapter 13: Induced resistance in crop protection: the future, drivers and. Gary Lyon, Adrian Newton and Dale Walters. 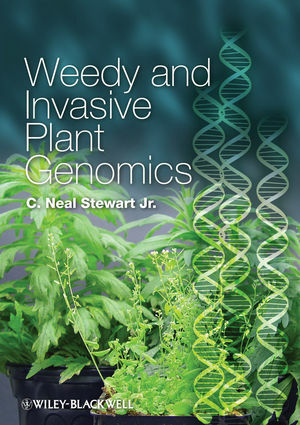 "It is certainly a book for libraries in universities and institues active in biological and agricultural research. This book will also interest individual scientists who are specifically working on induced resistance because of its extensive references"